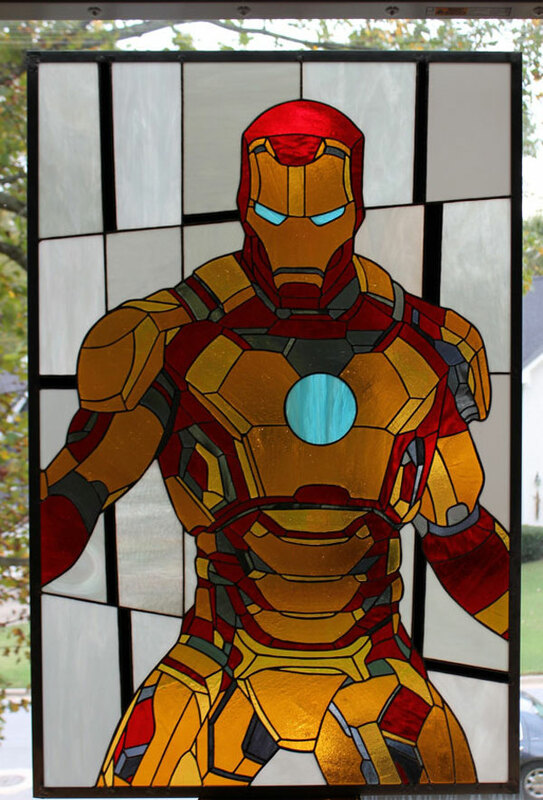 While the chest piece makes a tempting target for a wayward tennis ball, I think I would invent a repulsor ray just to annihilate whoever smashed this mosaic marvel - especially as it is actually for sale. Daniels hasn't stopped here though. In fact he has stained many Nintendo and fantasy character into life. To see them, follow the jump. i think some of the panels that are yellow should have been red but that aside i love this. thanks for posting it mate. I agree w/Shlomo, but Daniels did make the current movie suit. Uhhhh, me no likie, but I do likie this mosaic glass pattern.